With this years fear of Swine Flu, also known as H1N1, many people are fearful of coming down with the dreaded sickness, which is really just a version of the flu that hits a little harder than the average flu. (OPTION: You could explain the history and development of the Swine Flu as well as why it got the name “Swine”) There are many natural and non-invasive things you can do other than leave this to chance and hope it does not find you or your little loved ones. It is important to help prevent and to strengthen your immune system to give you a faster recovery if you should come down with the flu. 1. Drink more water. The first thing you should consider is increasing your daily intake of water. Keeping your body hydrated is priority one for our immune system. The more water to flush things along, the faster it works. It is recommended for adults to drink at least 64 oz. a day, and about half that, for kids. Make sure to keep water available for kids so they can access it regularly. 2. Wash your hands. Washing your hands with a natural or organic soap is a sure way to keep germs away while maintaining our body strong. Our body is in a constant state of detoxification and the more chemicals we add to our skin and body, the harder our bodies have to work to remove and filter those chemicals from our system. The more we eliminate chemical-based soaps and cleaning products the better our bodies can work to keep us from getting sick. 3. Watch out for foreign germs. It is important to lessen the chance of carrying germs home on our hands. When shopping, use a natural-based hand sanitizer before and after your outing. Shopping carts are one of the most common places where germs hang out and they get passed from person-to-person without any sanitation. If you take your baby or child out, use a shopping-cart seat cover to prevent them from unnecessary exposure to these germs. Babies and toddlers tend to rub their hands on the handles and then bring their little paws to their mouth, eyes and nose. If you do not have a shopping-cart seat cover, use some natural baby wipes to clean the handle bar before your baby occupies the seat. Be careful when grabbing handles and door knobs in public places. It has been shown that 80% of all people who use the restrooms do not wash their hands after they go to the potty. 4. Nutrition, nutrition, nutrition. Our nutrition is the most important way to keep our immune system strong. Calibrating your nutritional intake to overcome the seasonal flu is a sure way to remain healthy and strong during this period of time. You have to minimize processed food and empty carbohydrates. For example, when we consume refined sugar, it goes straight to our bloodstream and is taken in by white blood cells. Our white blood cells are responsible for the removal of bacteria and other invaders. This means that our body’s defenses are weakened, and is not at full strength to fight off infections. This leaves us more vulnerable to becoming sick almost instantly. By consuming just one soda, you force your body to shift focus from protecting it from infections and viruses to processing the sugars you have consumed in that one soda. Now multiply this fact by the total amount of processed food you eat in a day and you have a sick body. 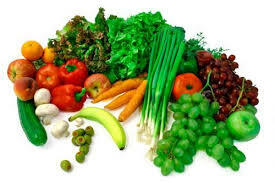 It is very important to eliminate the consumption of processed and refined carbohydrates. This includes products containing: high fructose corn syrup, white flour, sugar and other sweeteners. Foods such as bread, boxed meals and sides, candy, and desserts, even if it is organic, it’s still simple, empty carbohydrates that do not contribute to the strengthening of your immune system. Eating nutritious foods at every meal is essential. I recommend the book “Nourishing Traditions” by Sally Fallon, which can be found on Amazon.com or any local book store. It is filled with recipes and tons of information about eating well. Preparing food can be very time consuming and require thought and planning. Yet, you will pay the price of nutrition short cuts if you do not put the time into cooking nutritious meals. Otherwise, you will pay that time sick in bed or with your little ones trying to overcome their infection. Now, when it comes to prevention, it is never too late or too early to start improving your body’s defenses. You already know how important your family’s nutrition is at times like these. Don’t assume that the only way to protect you is by taking “The Shot” and hoping it does not mutate. 5. Supplements. Even if you are eating nutritious foods prepared from home; there is still a need for natural supplements. One of the most important ones is Cod Liver Oil (CLO); which provides Vitamin A for strengthening the immune system and helps the body fight off infections. CLO is a year round supplement we should be taking and giving to our children. Finding one with a good amount of vitamin D at this time of year is important for supplementing the amount of sunlight you are not getting. Vitamin D is good for strengthening your bones. EPA and DHA are for cardiovascular health, brain development in kids, and reducing inflammation and arthritis. It will not replace the need for some sunlight, but it does help as we bundle up and have very little skin exposed to the sun. Here is a link to a Cod Liver Oil product that has what is needed in vitamin content. http://www.greenpasture.org/retail/?t=products If you are not sure that you can get used to a stronger tasting Cod Liver Oil, go with an unfermented and flavored one. It is easier to swallow and though it is easier on the taste buds, you are getting something rather than nothing at all. Nordic Naturals has an orange flavored version, also on Amazon.com, which is very palatable. I encourage you to research the benefits of CLO, if you have any doubts. It was a staple food in our ancestor’s diets for many centuries. 6. Vitamins. Also, very important to take during this season, is Vitamin C; from acerola cherries, or other natural source, not ascorbic acid. This is absorbed by our white blood cells and makes it improves our body’s natural defenses. The key to Vitamin C is taking it throughout the day so that you are not just passing it through without absorption. You need a constant supply of vitamin C as it is not stored in our body. Sugar can prevent our body from absorbing the vitamin C so this is yet another reason to avoid sugars. Now that you are aware of all of the natural sources you can use to protect your body from this season’s flu, you can do your homework and decide for yourself. Prevention and nutrition is the key to a Flu-free home. Using natural sources will help your body maintain its strength and improve its defenses as your clear the season. Take the first steps now so you can see the results for yourself. Once, we start bundling up and staying inside, I will share more important tips on how to stay healthy the natural way. I will also add a part on “What to do if do come down with the flu”. Be aware that the flu shot does not guarantee you will not come down with the flu, and many contract the flu just from getting the shot. 2. Wash hands more frequently, with a natural/organic soap. 3. Use natural based hand sanitizer (find online, or health food store). 4. Nutrition. Eat more vegetables and nutrient-dense meals. 5. Take Cod Liver Oil (follow recommended dosage, usually one teaspoon). 6. 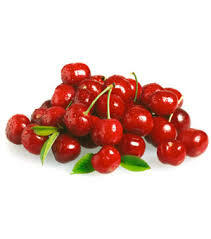 Vitamin C from acerola or natural sources (250mg for kids, and 500mg for adults)-spread into two or more doses.